The Oregon State Board of Nursing has approved Warner Pacific University’s proposal to offer the pre-licensure Bachelor of Science in Nursing (BSN) degree. Warner Pacific Dean of Nursing Dr. Linda Campbell and Associate Dean of Nursing Dr. Gary Laustsen received the news at an OSBN board meeting earlier today in Portland. The approval comes after nearly a year of preparation and close correspondence with the nursing board by Warner Pacific administrators and faculty. What’s next? Here is a helpful guide to the Warner Pacific Nursing Program. Currently enrolled Warner Pacific students who have reached junior status and transfer students who have completed associate level studies toward their RN may enter the Bachelor of Science in Nursing program in the spring 2019 semester, with classes beginning in January. Incoming first-year students may declare a nursing major as early as fall 2019 semester. During the spring semester of their sophomore year, these students will complete a rigorous process to gain admission to the Warner Pacific Nursing Program. Once admitted to the program, students will start Bachelor of Science in Nursing coursework in the fall of 2021. The primary faculty members in the Warner Pacific University Nursing Program are Dr. Linda Campbell and Dr. Gary Laustsen. Additional prospective faculty members have been identified and will be employed as the program grows. Campbell, appointed to the Dean of Nursing role in November 2017, earned a Bachelor of Science in Nursing degree from Arizona State University, and attended the University of Colorado-Denver, where she earned a Master of Science in Community Health Nursing with a focus in Nursing Administration and a Ph.D. in Nursing. Prior to coming to Warner Pacific, she spent thirteen years serving the Loretto Heights School of Nursing (LHSON) in the Rueckert-Hartman College for Health Professions at Regis University in Denver. Laustsen, who joined the Warner Pacific faculty in 2018, received his Bachelor of Science in Nursing degree from Regis University, a Master of Science in Nursing from the University of Northern Colorado, and a Ph.D. in Nursing from the University of Colorado-Denver Health Sciences Center. He has worked as a registered nurse (RN), family nurse practitioner (FNP), and nurse educator at the baccalaureate, master, and doctoral levels. Most recently, he served as an associate professor in the School of Nursing at Oregon Health & Sciences University. Does Warner Pacific offer any other pathways to the BSN degree? 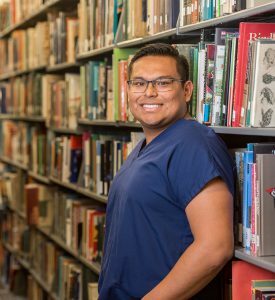 In addition to the newly approved pre-licensure Bachelor of Science in Nursing degree, Warner Pacific University offers the RN-to-BSN degree program. This program is designed for working RNs who want to earn their Bachelor of Science in Nursing degree in a convenient, one night a week format. For more information about the Warner Pacific University Nursing Program, visit www.warnerpacific.edu/nursing.